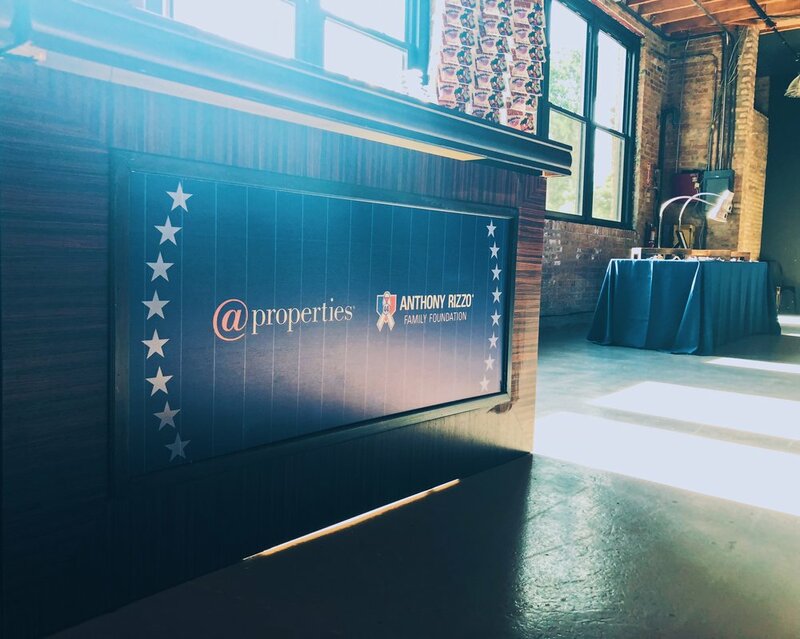 This year @properties foundation, @gives back, teamed up with the Anthony Rizzo Family Foundation to help raise money for cancer research and to provide support to children and their families battling the disease. If you didn't already know, Anthony was diagnosed with Hodgkin’s Lymphoma at the age of 18 (thankfully now in remission), so the foundation is very near & dear to him and his family. Now, if you've met me, you know that I've also dealt with my own handful of health scares, so seeing someone my age be able to overcome cancer, later win the World Serious & then go on to help others on top of all that...well that's a hero. With the help of many people & many sponsors, we were able to raise over $100k in just one evening! And of course, @ threw one heck of a party at Architectural Artifacts. There was a live band, endless bags of Cracker Jack & of course delicious food & drinks. Whatever's near & dear to your heart, you can find something to support in Chicago in almost any way. Whether it be the PAWS Chicago Fur Ball or just shop at the Brown Elephant to support Howard Brown Health, you've got choices. Architectural Artifacts is located at 4325 N Ravenswood Ave in Chicago's Ravenswood Neighborhood.